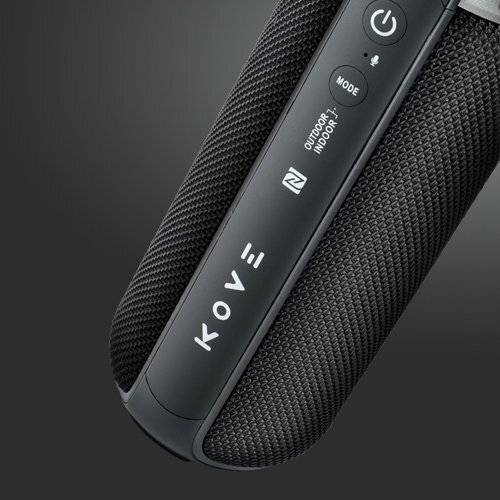 The Kove Commuter Portable Wireless Bluetooth Speaker packs a lot of sound in a compact package. 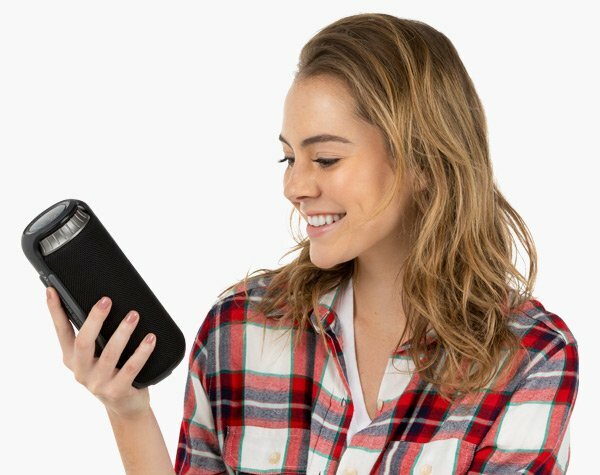 A single charge of the 4000mAH battery gets you up to 8 hours of superior sound quality thanks to the powerful X-bass subwoofer – yes, a subwoofer in a portable speaker! 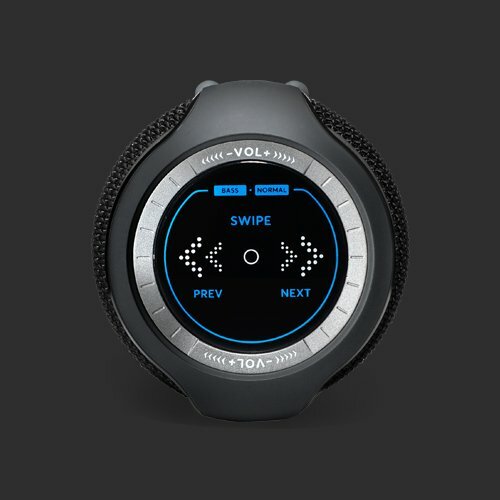 Connect to your computer or mobile device via Bluetooth 4.1 and feel free to walk up to 30 feet away without interrupting your music. Attention: This product is powered by a lithium-ion battery and, due to recent changes in shipping regulations, cannot be shipped to postal boxes (PO boxes) or APO/FPO (military) addresses both inside and outside the United States. The Commuter has a water-resistant rating of IpX4, which means it’s great next to the hot tub, but not in it. Two equalizer modes, Indoor (normal) and Outdoor (bass) ensure optimal sound for your environment. There’s even a 3.5mm AUX input for wired audio — and we’ve included a cable, just because. When the party’s over, use the Commuter as a speakerphone. 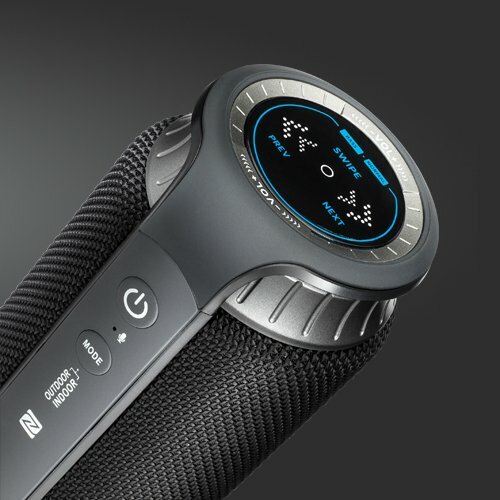 Paired with a smartphone, the speaker’s built-in mic lets you get back to business.